Employers favour candidates with degrees in a numerate subject such as mathematics, statistics, economics, engineering, chemistry, physics or actuarial science. We have compiled a list of mathematical subjects which you should have an understanding of in order to qualify as an actuary. All students joining the IFoA from 2 January 2019 will be required to qualify as an Associate before choosing to progress to Fellowship. You will do this after completing or gaining exemptions from the Core Principles and Core Practice subjects and a minimum of 2 years of PPD. You will study these subjects in your degree and/or whilst working as an actuarial student. Other international qualifications must be equivalent to the above. If you have a second class honours degree or above in a non-mathematical subject, the mathematics A-level requirement is reduced to a grade C.
If you have a third class honours degree or above in a mathematical or actuarial science degree, the mathematics A-level requirement is dropped. 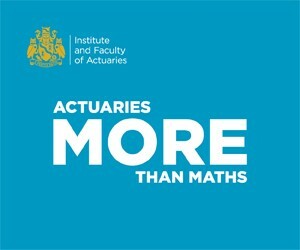 Actuaries are more than maths. Find out what an actuary is, what they do and about the actuarial profession. Meet the actuary who is predicting the future of cyber risk as he takes us through his day job. A world without cash - find out about the advantages and disadvantages of a cashless society from an actuaries perspective. We aim to respond to all enquiries within five working days.